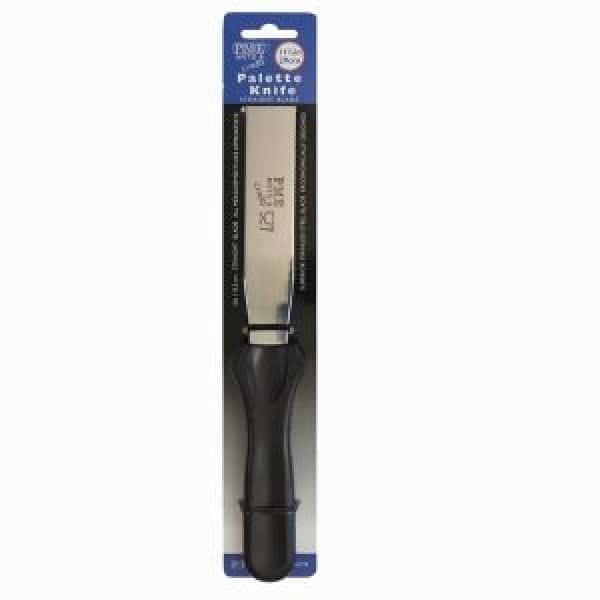 The PME straight blade palette knife is ideal for mixing or spreading and coating on cakes. Measuring 11.5 inches the palette knife has a stainless steel blade with a sturdy ergonomically designed black plastic handle with thumb grip for comfort. Dishwasher safe.